BLING!!! Everyone loves a bit of bling, me especially, so this challenge was right up my ally.. 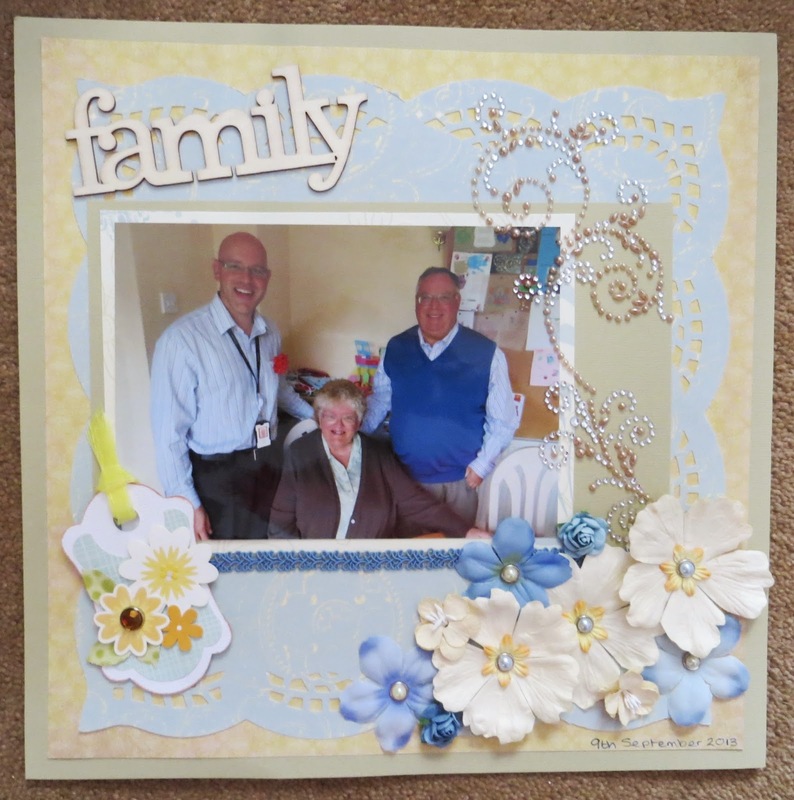 I don't often get many photos of the hubby and his parents, but I took this on his birthday last year and when I was fortunate enough to get a chance to play around with a new paper cutting toy, I chose the paper with this photo in mind. Sharon, such a beautiful layout.. Thanks for joining the Bling Challenge at Pinque Peacock..